All thermostats are different and some require a battery. A battery check or change should be your next step for troubleshooting a heating or cooling problem. If this is the problem, HVAC operations should be restored immediately upon replacing the battery. 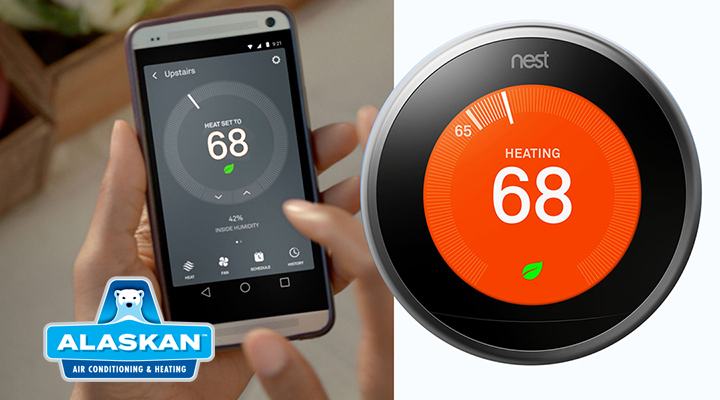 If you use a Wi-Fi thermostat, it may have lost communication with your HVAC system. It will need to be re-synched. To fix this, unplug your internet router and turn your system off via the Wi-Fi thermostat. Turn both back on after 5 minutes. This reboot may be all that was needed. If your thermostat is working only sporadically, the wires or the base may be loose. Make sure the terminal screws are tight. Check the wires and tighten the screws. This may be a better job for Alaskan Air Conditioning and Heating because there is danger of shock when working with electricity. If any corrosion is present, remove the wire from the contact and clean. Use a wire stripper to remove the surrounding insulation, cut back the wire, and reconnect. This, too, may be a better job for Alaskan Air Conditioning and Heating because of the danger of shock. 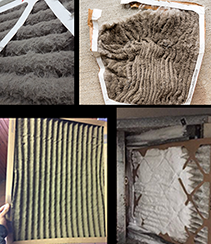 Even dust and dirt can cause inaccurate temperature readings and other problems. Sometimes lightly dusting the inside of your thermostat, including the metal coils and contact plates, can restore proper operations. 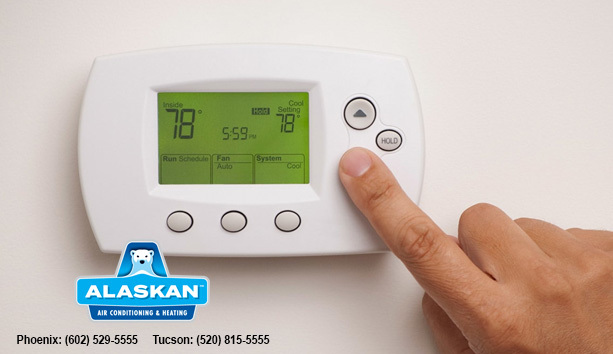 Many times, a malfunctioning or broken thermostat masquerades itself as a faulty furnace or air conditioner. If you’ve tried some of the easy fixes above and you still don’t have operation, call Alaskan Air Conditioning and Heating and we’ll either fix it or recommend a replacement. 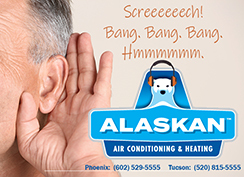 Alaskan Air Conditioning and Heating is your HVAC problem solver! We can help with all of your heating and cooling issues. For more information, contact us at Phoenix: 602-529-5555 or in Tuscon: 520-815-5555. To visit us online, go to https://www.alaskanac.com. You may also email us questions or concerns to https://www.alaskanac.com/contact-us.